Chrysoula Kechagioglou has had singing lessons with Spiros Sakkas and Mirka Yemetzaki. She participates in various traditional and folk music groups, performing songs from different cultures. She has cooperated in recordings and on stage with artists such as Nikos Antipas, Lina Nikolakopoulou, Manolis Mitsias, Manolis Pappos, Dimitris Mystakidis, Nikos Tatasopoulos, Nikos Kypourgos, Apodimi Compania, John McSherry, Donal O’Connor, Niall Hanna, Andy Irvine and Donal Lunny. Over the last few years she has performed (either with her female band “Chrysoula K. & Púrpura”, or as a member of other projects) around the world in the USA, Spain, France, Egypt, Finland, etc. culminating in her appearances at the Brunswick Music Festival (Melbourne 2013, 2017) and the National Folk Festival (Canberra 2013, 2017, 2018). She is a member of the oldest Celtic group in Greece, “Iernis” and one of the initiators of Athens Celtic Festival (2014, 2016, 2017) aiming to bring together all the celtic music groups of Greece. 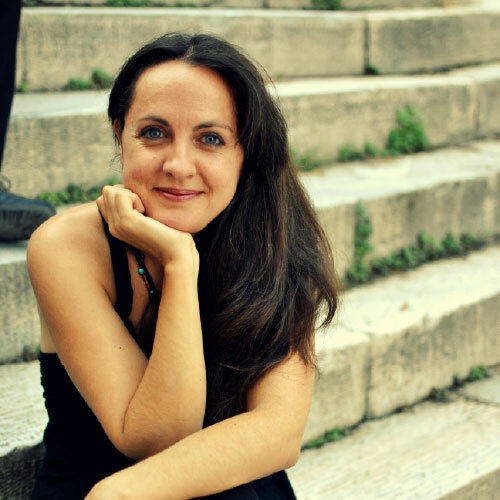 She is also a member of the Rebetiko Music band “Apodimi Compania” with whom she has recorded three CDs. In December 2014 she released her debut album titled “Sa Fylachto (As a Talisman)” – lyrics and music by Lazaros Samaras. Recently, she participated in the upcoming album of Andy Irvine and Donal Lunny’s group “Mozaik” (Bruce Molsky, Rens van der Zam, Nikola Parov).